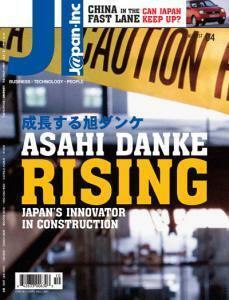 On the cover: Asahi Danke on the rise. One construction firm rises above the rest. How auditing has transformed advertising. China will export auto parts. Can Japan keep its lead? Upfront: Is Japan losing it's cool? A new report shows Korean and Chinese rivals gaining fast. Upfront: Can Koizumi Privatize Japan? The next wave of reforms challenges the socialist state. Why today's advertisers need to be super-savvy. How safe is your knowledge? Investor Insight: The Next Izanagi Keiki? Japan's economic recovery looks built to last. One resident's solution to the tourism campaign.